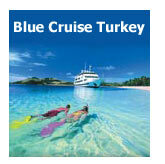 Travel Agent for Istanbul & Turkey: We are "A" group travel agency located in Istanbul - Turkey, www.goturkeytours.com is run by Turkey OSSE TOURS, a Turkish, Australian and American managed tour operator and destination management company for Istanbul & Turkey, specializing in providing flexible private tours, travel packages, meetings. We hold a group A travel agency license, under TURSAB - the Turkish Tour Operator Authority. Professional & Licensed Tour Guides: Having worked in the Turkish tourism industry for many years, our selected group of Istanbul & Turkey tour guides are professional, attentive and have in-depth knowledge of Istanbul and Turkey's history from ancient times to the modern day. They are also exploring and sharing Istanbul & Turkey's rich culture, traditions and cooking specialties and make great traveling companions for individual or small group tours. Individual tour all are officially licensed by the Ministry of Tourism. Private Tours: Client(s) choose places to make travel in Istanbul & Turkey according interesting and be only person in the travel. Recent Testimonials: Please read our client testimonials from recent guests about the quality of our guides and services. Quick Price Quotations: As a reliable tour operator, we guarantee a timely response to all emails with a personable service. Our aim is offer complete program suggestions as well as customizable tours. Reservations & Payment: We accept reservations and payment by credit card (Visa, Master Card and American Express) or by bank transfer. Full details of our booking procedure, terms and conditions are forwarded at booking time, or upon request. Our Location & Contact: For any questions and comments please do not hesitate to contact our travel agency at info@goturkeytours.com or see our address and phone details at the contact us page. If you are as passionate to learn about this city as we are to talk about it - please contact us!